But he wants to direct a feature. And for practice, he's turning to advertising. We spoke with Brody about the Dodge work, how his acting influences his directing, and what his future holds behind the camera. Adweek: The Dodge work isn't the first ad campaign you've directed, is it? 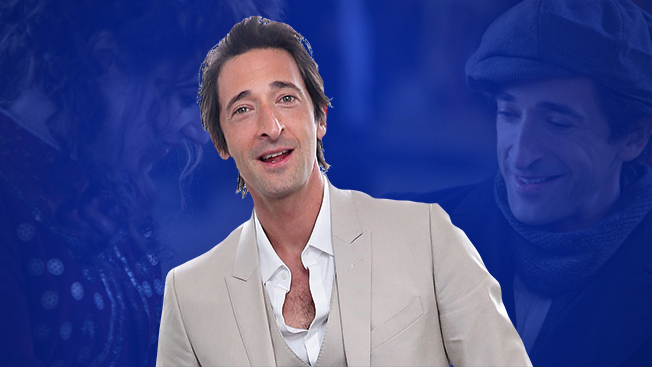 Adrien Brody: I've been keeping it under wraps. I directed several spots beginning about five years ago. One was really a wonderful, anthemic piece I did for Chrysler called "Arrive in Style." They gave me a tremendous amount of creative freedom with that, and I thought it would always be like that. I had a similar experience as an actor with films, doing independent movies and realizing they're not always so free spirited, and you don't always get the same degree of creative freedom. The impetus to direct was to have more of my vision as a storyteller infused into the work, and into my own work, where there are limitations as an actor. As you know, the ad space does not necessarily offer that consistently. You have to choose your partners, and I think you also have to develop a degree of trust. So the Dodge work came from your relationship with Chrsyler. I kind of stepped back for a while and just focused on my acting work and some producing work, and then recently got back in touch with my friends at Dodge, and we bid for this "Dodge Brothers" campaign, which we got. And it was a tremendous amount of fun, and again I had a lot of leeway within the parameters. Even though I aspire to direct a film, this is a wonderful tool for me to … I don't know, "experiment" isn't the right word. You know, it's not dissimilar to independent filmmaking, where you have certain constraints, and then you have to surmount those and tell the story that you feel you can tell best. And that comes from experience, and working with actors, and selecting the right actors. And picking the battles to ensure that you have the ammunition to deliver the product that they're really looking for. Working with Dodge and Wieden + Kennedy, that's pretty good company in which to experiment. They were super. I'm very friendly with Olivier [Francois], who is their head marketing guy, and he's really championed my work. He was the one who enabled me to do the "Arrive in Style" spot. I flew myself to Detroit on a crack-of-dawn flight and pitched their entire boardroom my vision for a spot they wanted to do, by myself, and won over their trust. Then, I did not have a directing reel. I shot that first commercial with six different formats. We shot everything from a Phantom to Super-8. Olivier is a pretty experimental guy. He's got that independent spirit. Yeah, I know. And it's wonderful. He is excited about something innovative. Tell me a little bit about the Dodge shoot. What was the most fun part of it and what was the most challenging part?